Added by Christopher Spencer on January 25, 2014. Hillary Rodham Clinton appears to be raising concerns among progressives as potential candidates have already begun positioning themselves for the 2016 campaign. 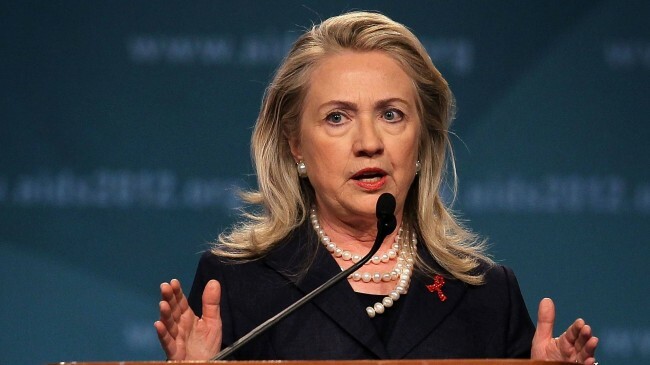 The left-wing of the Democratic Party has long expressed concerns about a presumptive Hillary candidacy in 2016. These concerns were magnified today with the news that Priorities USA, a significant Democratic Super-PAC, will formally endorse Hillary for president in 2016. The backing of such a large and influential organization could potentially clear the Democratic field of any opposition before Hillary has even formally announced her candidacy. Another concern expressed by progressives in this regard is that the Super-PAC support will provide Hillary with sufficient financial backing so that she will not need to be responsive to “grassroots” efforts and the issues they support. This tension within the Democratic Party has not received the same level of attention as their Republican counterparts, but it does exist for Democrats as well. Much has been made in recent months about the conflicts between Tea Party affiliated Republicans and their so-called “institutional” counterparts. Hillary can be seen in a similar context as representing the “institutional” candidate and left-wing progressives as similar to the Tea Party. Progressive groups have been adamant for months that a legitimate challenger to Hillary is needed in 2016. Like her husband, she has been cast as a moderate Democrat and her positions on various issues have drawn ire from those on the left. Her support of the Iraq war, as well as accepting significant sums from companies like Goldman Sachs drew much criticism from progressives. These are only some of the reasons raising concerns among progressives about a Hillary Rodham Clinton candidacy in 2016. Hillary and her husband, former president Bill Clinton, have been attempting to address this concern in recent weeks. 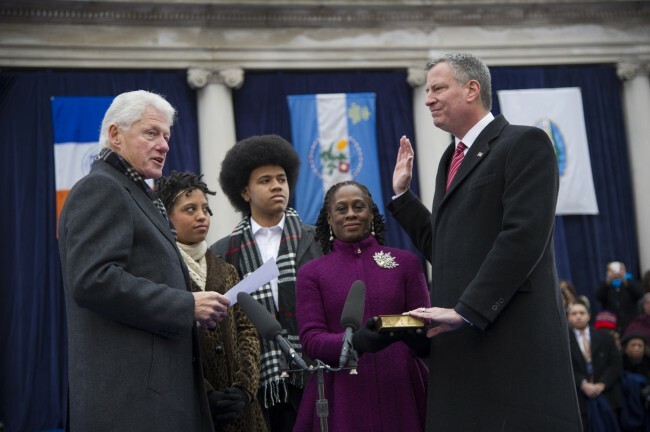 When Bill Clinton gave a speech at the inauguration of New York City Mayor Bill DeBlasio, he attempted to emphasize the ways in which he and Hillary have supported progressive causes in the past. In comments to CNN, University of Virginia Professor Larry Sabato called the entire speech an effort to downplay the “moderate” aspects of Clinton’s presidency and reframe both he and Hillary as progressives. The Clintons would appear to understand the potential conflict with the left-wing of their party. Another primary reason for concern is limiting debate not only within the Democratic Party, but in the electoral process at large. If Hillary’s candidacy is presumed, and no significant opponent emerges to challenge her, then voting citizens have been “robbed” of a choice, according to her progressive critics. This is somewhat ironic in a sense as the concept of primary elections first emerged during the Progressive Era at the turn of the 20th century as a means to increase choice for voters and encourage more political participation. A final concern is that a clear path to the Democratic nomination will actually weaken Hillary’s candidacy and campaign. Some political observers believe that a contested primary can benefit the eventual candidate. A contested election is far more interesting from a media perspective than a “foregone conclusion” and is therefore more likely to attract attention, keeping the candidate’s name in the minds of potential voters. In addition it can provide the candidate a means by which to refine their agenda and policy positions and to practice techniques such as debating and oration. This last point is perhaps least relevant to Hillary herself as she already commands a significant media presence and does not lack in experience when it comes to public speaking and policy formulation. While there are few clear challengers to Hillary at present that does not mean that one still could not emerge. Her husband was something of a “dark horse” himself when he began his campaign in the 1992 election, and while Barack Obama was seen as a “rising star” in the Democratic Party, his success in 2008 was also something of a surprise. So while progressives have raised concerns about Hillary Rodham Clinton’s 2016 candidacy, there is still time for that narrative to change. slowly taking over the search engine business.